(Bloomberg) -- Ford Motor Co. is boosting production of its biggest, highly lucrative sport utility vehicles for the second time in two years at a U.S. factory already bursting at the seams. 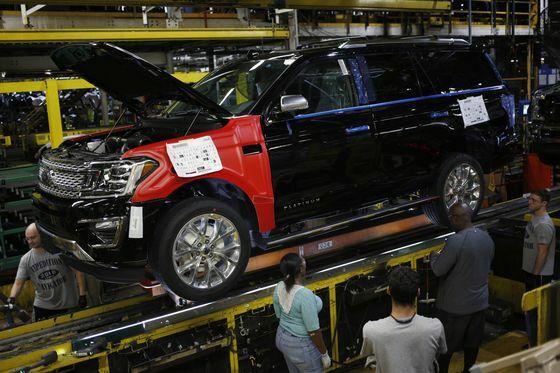 The automaker is increasing Ford Expedition and Lincoln Navigator output by 20 percent -- about 20,000 additional SUVs a year -- by speeding up the assembly line and redesigning it so multiple workers can manufacture the SUVs simultaneously. Ford executives declined to say how much they’re spending, but an upgrade of the same Kentucky plant announced in February 2018 cost $25 million and followed a $900 million investment the year before. The hot-selling SUVs are critical to Ford’s future because they generate profit per vehicle that analysts say can exceed $20,000. That helps finance the billions Ford is pouring into electric and self-driving vehicles that are considered the cars of tomorrow. While Ford won’t be adding factory jobs, it’s picked a fortuitous time to tout the expansion, with rival General Motors Co. drawing fresh ire from President Donald Trump for closing factories. Ford shares rose as much as 3.5 percent Tuesday, the biggest intraday jump in a month. The shares were up 1.5 percent to $8.70 at 12:50 p.m. New York time. 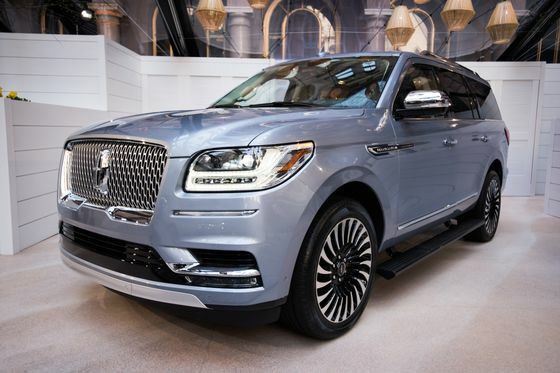 Navigator sales soared 70 percent last year, thanks to a bossy redesign, while Expedition sales rose 5.4 percent, according to researcher Autodata Corp. Retail deliveries of Expedition, revamped for the first time since 2003, jumped 35 percent, according to Ford. Perhaps most importantly, the average selling price of an Expedition climbed about $11,700 to $62,700. 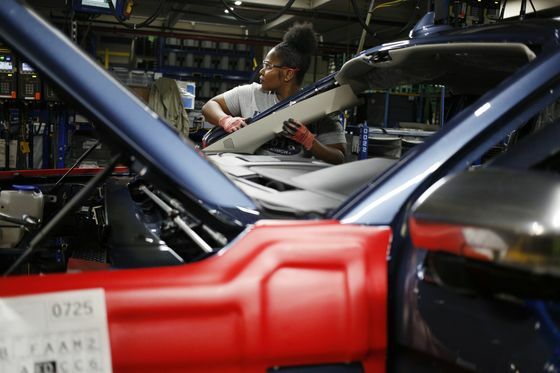 Ford lacks the space to knock down walls and expand the factory, so it’s digging pits along the assembly line for workers to attach components such as running boards from below, while other workers above install interior parts. The company also is speeding up the line so it can crank out more than 60 SUVs an hour, Savona said. Ford will make the changes in July while the plant is on summer shutdown for two weeks. Ford also will add 550 workers to the Kentucky factory, but they’ll come from the automaker’s neighboring Louisville plant, which makes the small Escape SUV. The automaker is rolling out a redesigned Escape this year aimed at reversing the sales slide of its aging model. Savona declined to say if Ford eventually will need to replace the workers Louisville is losing to support the Expedition and Navigator. But as part of an $11 billion restructuring, Ford has begun dismissing salaried employees, and a Morgan Stanley analyst has predicted the cuts could reach 25,000 worldwide. Net income fell by more than half last year, as the company lost money in every regional market except North America, where it has become increasingly dependent on big F-Series trucks and SUVs. GM continues to dominate the U.S. retail market for large SUVs with the Chevrolet Tahoe, Suburban and GMC Yukon, which accounted for a combined segment share of more than 70 percent last year, according to Ford. But that’s down about 5 points from 2017, as Expedition’s share rose to 17.5 percent in 2018, from 11.9 percent in 2017. To further stoke demand for the Expedition, Ford is rolling out a new ad campaign with the slogan: “Built to be a better big.” A commercial dubbed “Leave no man behind” will appear during the NCAA men’s basketball tournament and other prime-time programming showing the Expedition carrying eight people, while pulling a trailer with two horses.